The 1-2-3 Ocarina Class Music Pack provides 36 ocarina-players with a 4-hole Ocarina plus newly published full-colour 'Play your Ocarina' Book 1 and '1-2-3 Ocarina' – all for just £16.50 per child. 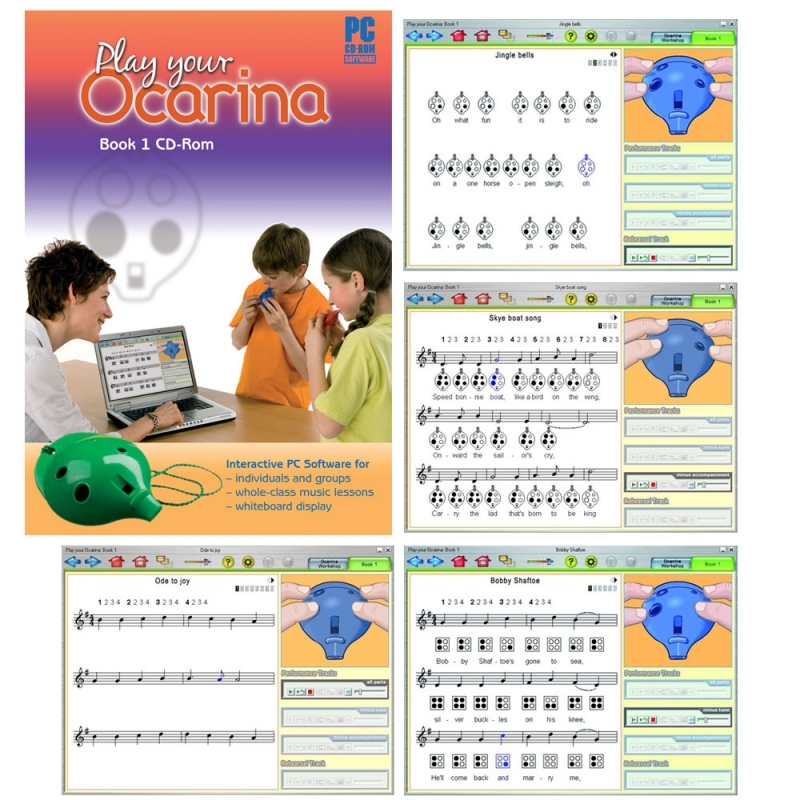 For first lessons, start with the high quality Ocarina Flashcards and play each of the first 8 notes in turn. Your children will be rewarded with an immediate octave of notes as, on the Ocarina, each note is equally easy to play. Next, introduce tunes using either Play your Ocarina – Book 1 'Starting Off' or 1-2-3 Ocarina – the 55 tunes offer progression from first notes and simple melodies to sophisticated performance. Use ‘Play your Ocarina – Book 1’ with CD-Rom Software or audio CD to learn 22 well-known tunes that your classes will enjoy performing competently and musically throughout the year, from day one. '1-2-3 Ocarina' teaches music-reading and ocarina-playing at the same time. Whether you’re after songs that use simpler finger-movements for younger children or want to pick up reluctant music readers, this amazing book is suitable for whole class music for Year 1 to Year 7. 1-2-3 Ocarina Teacher (plus 2 CDs) supports the creation of effective whole-class ensembles. 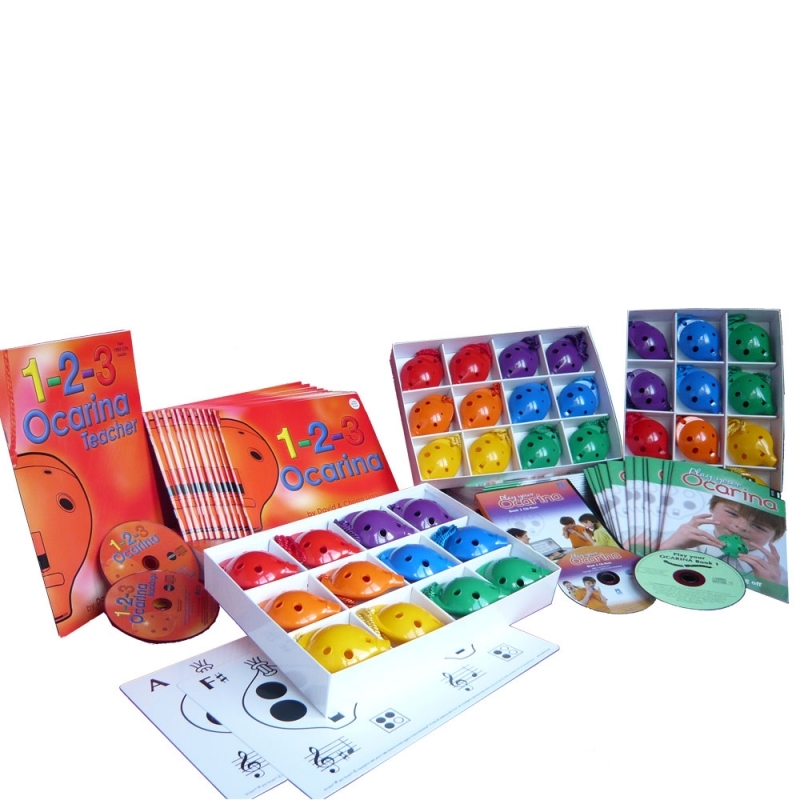 It is crammed with practical ideas for including percussion and other instruments alongside your Ocarinas, as well as the basics of what to look out for in each tune as you teach your children to play. This resource enables class teachers to deliver instrumental music lessons to their own classes. Year 7 and beyond and is also available as a 24-pack or 60-pack. 64 pages, A4 format, black & white, 31 songs with musical stave, piano accompaniments, words, guitar chords includes teaching tips, ideas for including percussion and other instruments, photocopiable progress chart. 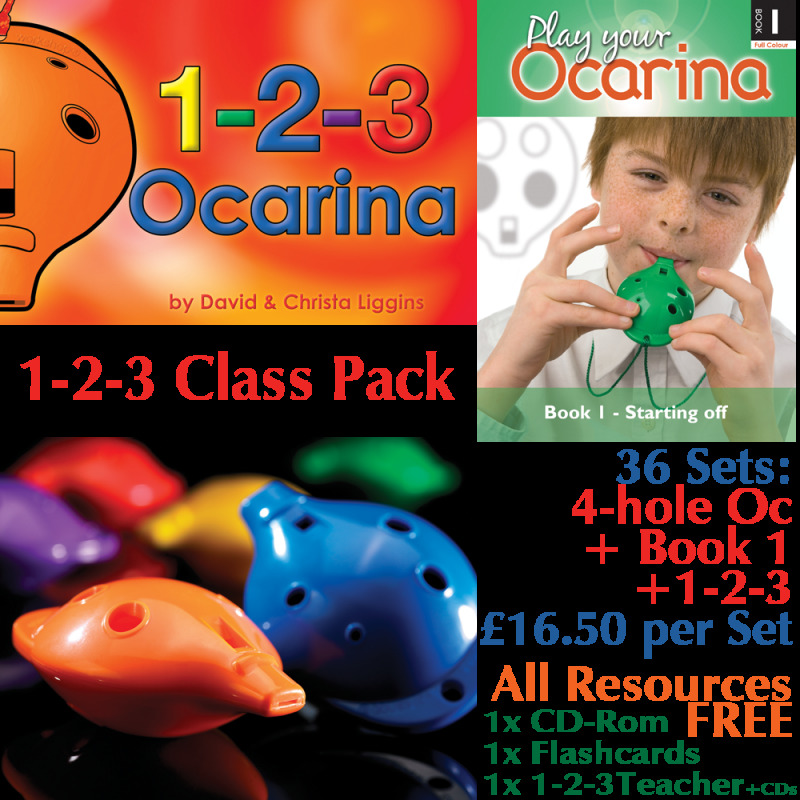 FREE Ocarina-Teaching CD-Rom Software PC Software disk, one installation per pack purchased.